What You do matter more than what You say: Replace ‘You’ by Brands! This is turning out to be a great learning so far, I learnt “What is Content Strategy?“, “How should I understand my audience?“, and once I have understood my audience, “How shall I segment them“. This has been a great learning experience. Understanding consumer and designing products and services to meet their needs and wants, and communicating this to consumer that you’ve done this. Any content you produce is like a product which you should definitely market. In order to engage with people you want to reach, you must understand them. 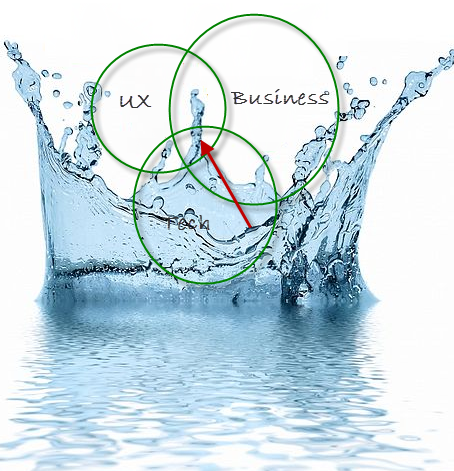 Content Strategy needs to benefit services and products that your organization creates. Your content should be meaningful and relevant to the products your organization makes. It should be able to brand your product or service. Both should be an absolute part of your content strategy. Content needs to communicate about the Brand which your product or service defines…!!! But What is a brand and how Experience is important! Is Coke a brand or is Sony a brand? A brand is not just the name or look of a product or service! Its your understanding of the product,its your best idea of the product or service, and how this idea or concept is different from alternative that you have! Let’s spend some more time on this, and let’s talk about the experience which coke delivers! Coke ad links coke with the experience of feeling happy when consumer feel happy they drink coke, and are taken to the Coke experience of happiness. By speaking to these experience Coke is able to engage consumers in the brand. its customers to the people who influence customers. 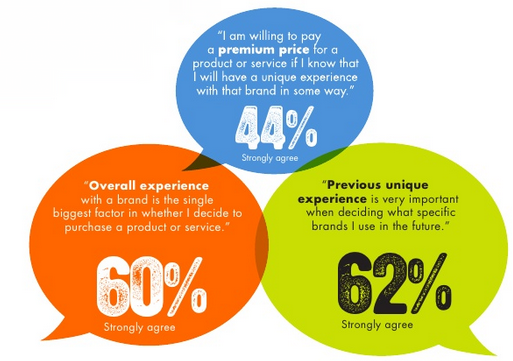 In order to build a strong experience brand, it’s important to understand what the drivers of experience are, and how they variously impact consumer perception and purchase. 1. Product. What you do, sell, and how well you meet your customers’ needs. It’s how you name and define your products or services and price them. 2. Communication. How you consistently promote your brand through marketing and sales – presenting your promise. It is the marketing collateral, advertising, materials, graphic standards, etc. that communicate your brand attributes, create awareness, and develop a brand image. 3. Service. How well you deliver your brand promise. Customer interaction with your company before, during and after they purchase. 4. Experience. Synchronizing the entire business in order to generate a unique and consistent experience with the brand. Creating emotional involvement between the brand and the customer. How to make sure content strategy is relevant to the brand? You should be able to articulate the concept clearly. The best tool to do this is to write a positioning. That specifies who the target statement is, and what is the core concept! And how it is different from competitor! You use this positioning statement to see how your content is relevant to the same experience the brand speaks to. The positioning is central to the content strategy because this is what keep the content on strategy. Inspiration: Making consumer believe that they can accomplish things in their own lives. Many brands have been successful as they inspire their users. Famous example is Nike which challenges the consumers to take challenge and just do it! The fact that you are able to do something is far more important than the fact how you did it? Identity: Identity experience is seeing oneself as being a successful person! As a brand if you can provide useful advice and tips on how to use clothes to appear successful, this will in turn create an excellent identity experience. For this one contact point can be a sales person coming to you and suggesting you a tie which will go well with your suit! Second example could be an example of say Tesco retail store in UK, where they do a utilitarian advice by suggesting a recipes. In order to make sure that all the content fits in Content Strategy you need to generate the storyline which is for your brand! You need to keep it generic enough so that any individual piece of content will tell its own story, but that component is rich enough to stick together to make sure that it caters to the brand and experiences it relate to. We will get in more details on Experiences, in our next post…this is getting really interesting!